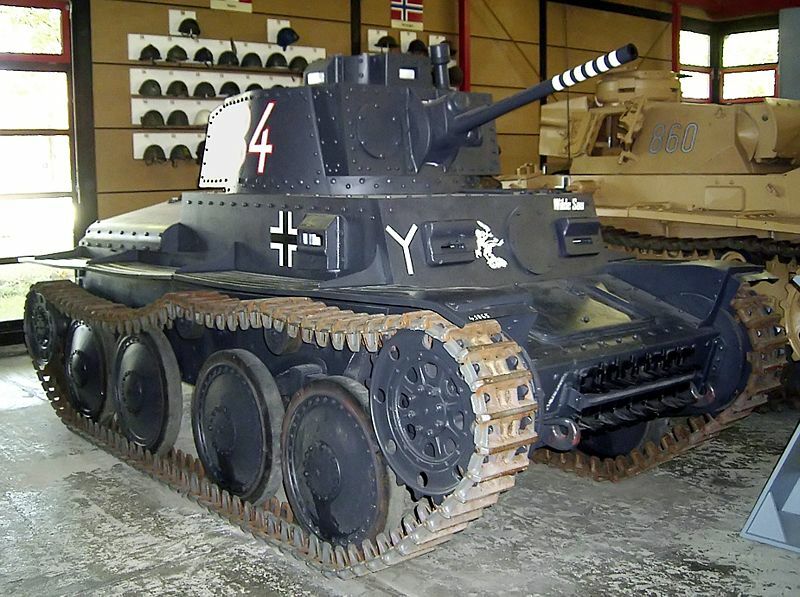 The Panzerkampfwagen 38(t) was originally a Czech tank of pre-World War II design. After Czechoslovakia was taken over by Germany, it was adopted by the German Army, seeing service in the invasions of Poland and Russia. Production ended in 1942, when its armament was deemed inadequate. In all, over 1400 were manufactured. The chassis continued to be produced for Hetzer and Marder III tank destroyers, turretless assault guns, anti-tank guns and anti-aircraft guns. The (t) stands for tschechisch, the German word for Czech; the Czechoslovak military designation was LT vz 38. Manufacturer's designations included TNH series, TNHPS, LTP and LTH). 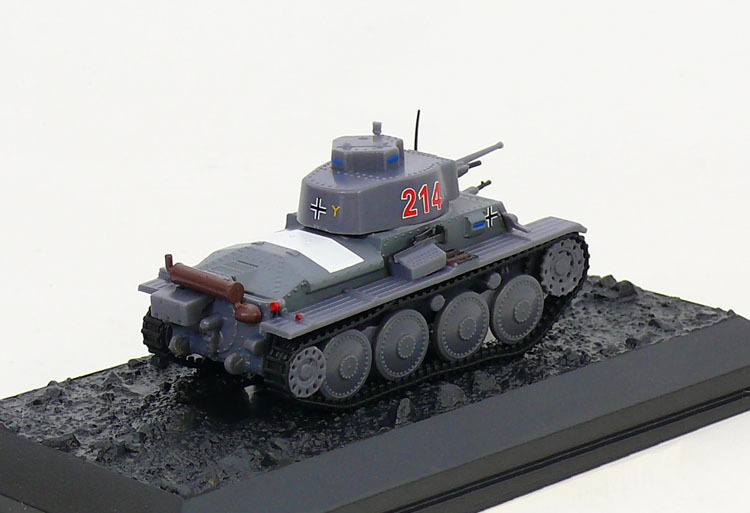 The special vehicle designation for the tank in Germany was Sd.Kfz. 140.